Type "ham and jam and spam a lot" in the treasury. Three soldiers will come dancing on a cheerful tune. It concludes with the text "In memory of Graham Chapman". Graham Chapman was an English comedian, actor, writer, physician and one of the six members of the Monty Python comedy team. He was also the lead actor in two of their films, playing King Arthur in Monty Python and the Holy Grail and Brian in Monty Python's Life of Brian. He died on October 4 1989 at the early age of 48 from spinal cancer. - the sarcophagus refers to the mummy's sarcophagus in King's Quest 4 (and pictures Rosella as a hieroglyph, see image below). 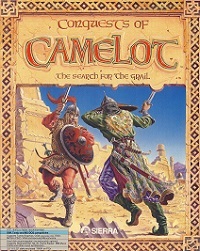 Use the emerald heart on the little figure on the tapestry in the abbey's refectory to see Conquests of Camelot characters have a little discussion. 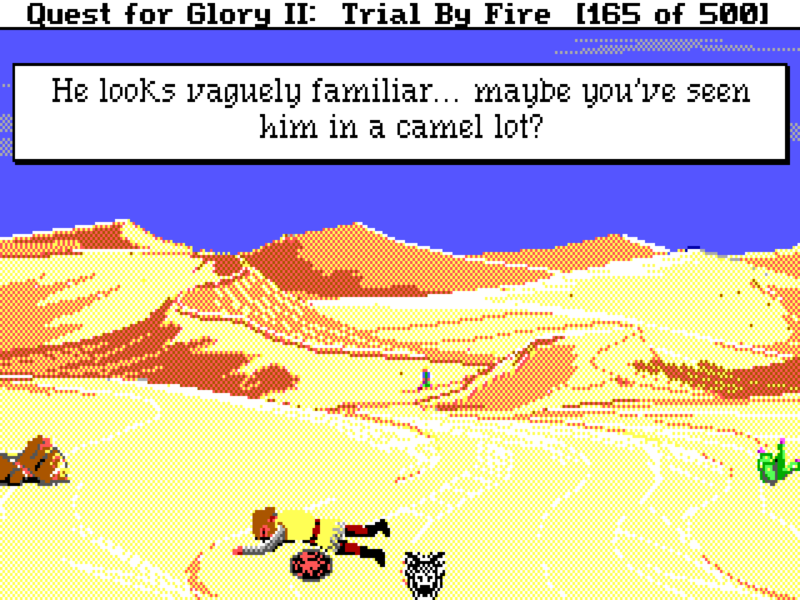 Sometimes in the desert you come across the dead body of King Arthur from Conquests of Camelot. As you approach it, it disappears. 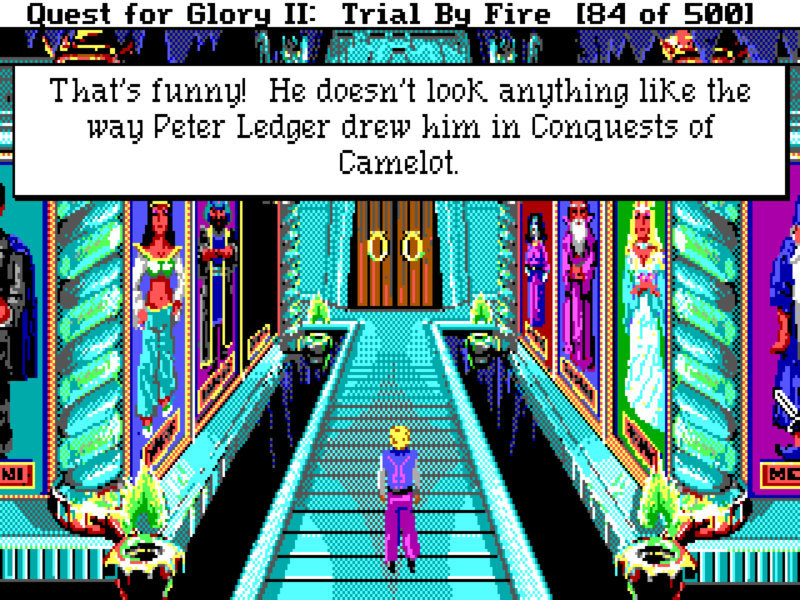 In the WIT's entrance hall, look at the portrait of Merlin for a reference to Conquest's of Camelot and the game's artist Peter Ledger.